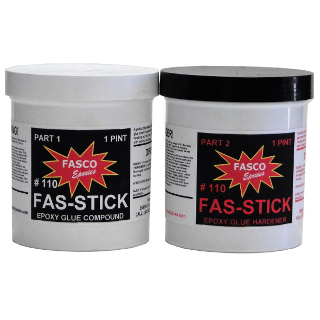 A light weight compound for fairing surfaces of fiberglass, metal, wood, foam, masonry, and most plastics. 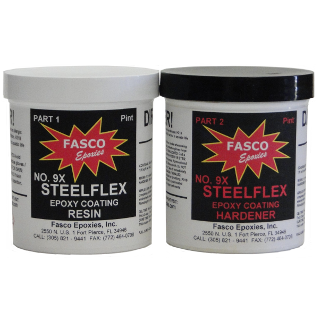 Fast setting - Can be sanded in 3 hours at 76 degrees F.
Faring rough surfaces prior to priming and painting . Surface to be fared should be clean, dry and sanded. 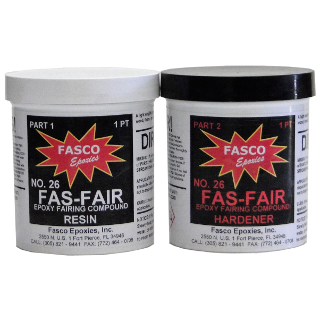 Fas-Fair 26 is an equal part mix. Mix Part 1 and Part 2 together thoroughly until a uniform color is achieved with no streaks. 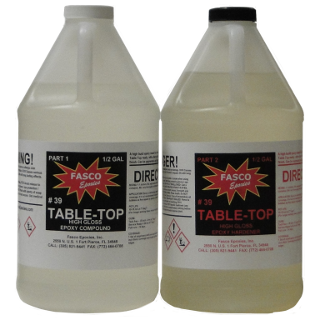 A one-quart mass of mixed Fas-Fair 26 will gel in the mixing pot in 25 minutes at 76 degrees F. Higher temperatures will make it gel quicker and low temperatures will extend the pot life. Pot life also depends on the amount mixed. Thick mass gels fast - thin films take much longer to gel and cure. 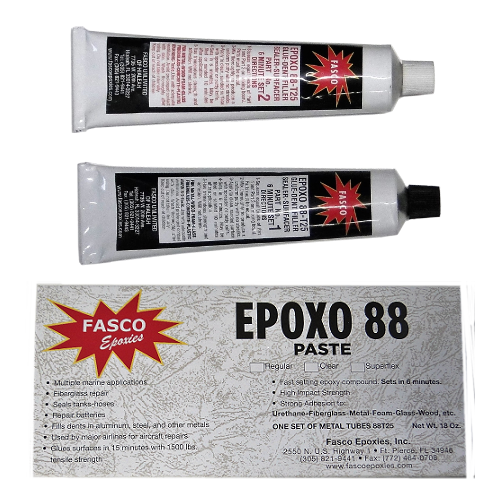 Fas-Fair 26 may be applied by plastic spreader, trowel, or putty knife. 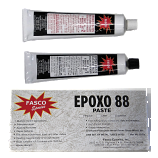 It may be applied vertically, without sag, up to 3/8" per coat or horizontally as thick as desired.